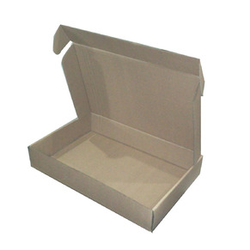 Manufactured from finest quality paper, our Self Locking Boxes have become highly demanded products. Use of quality paper provides the product a base for customized printing, where our clients can put their logos, product description etc. We are offering a fine quality of Self Locking Boxes. We are providing Self Locking Boxes. We are one of the well-distinguished companies in the market that is into offering Self Locking Box. Relying on our expertise in this domain, we are into offering Soft Crease Self Lock Box. 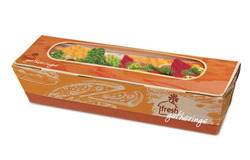 Self Locking boxes are designed such that stiching or gluing them is not required. They are suitable for packing the electronics like Modems, CCTV cameras, E-commerce packages etc.